Home > Used Vehicles > Mercedes-Benz > SL55AMG > 2005 > 2005 Mercedes-Benz SL55AMG SL55 AMG - 493 HP! 2005 Mercedes-Benz SL55AMG SL55 AMG - 493 HP! LOOK TERRIFIC IN THIS CAR! This era of Mercedes-Benz stands out in the history of the manufacturer because every car produced not only looked great, but also had enough competitive advantage to compete with the likes of BMW. Where Mercedes lacked in performance, AMG in Affalterbach came in and gave their performance touch. While Mercedes were never known to be great handling cars until recently, there was no denying these cars were absolute torque monsters and made for the autobahn. It has the legendary M113K engine that is a 5.5L supercharged V8 making almost 500 HP and a bit more than 500 lb-ft of torque. This engine has proven to be bulletproof and can easily make 700+ HP with minor bolt-ons. Not to say you’ll need to modify the engine as we’ve heard unrestricted SL55s can hit 202 MPH in an otherwise stock car. The SL55 has a 16 second foldable hard top that looks equally as good with the top up as with the top down. You have the best of both worths without sacrificing anything really other than extra weight to carry around. 5.5L V8 FI - 8 cyl. 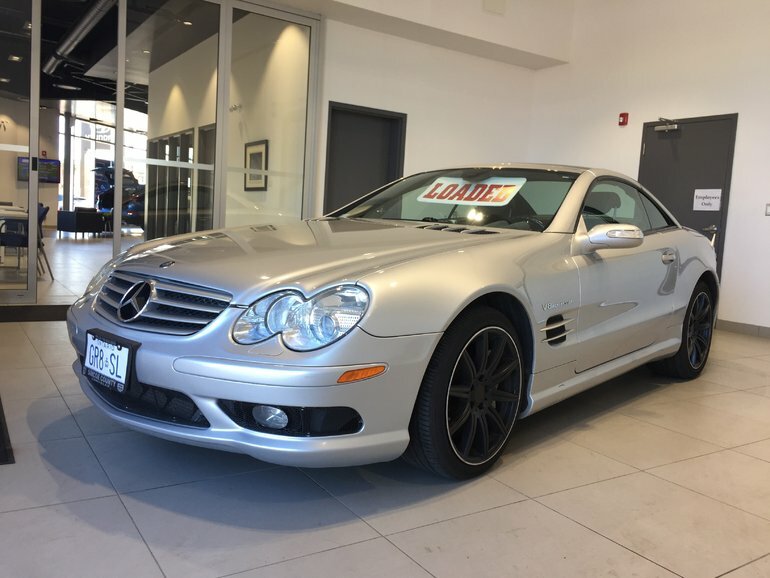 Interested in the 2005 Mercedes-Benz SL55AMG SL55 AMG - 493 HP! LOOK TERRIFIC IN THIS CAR! ?